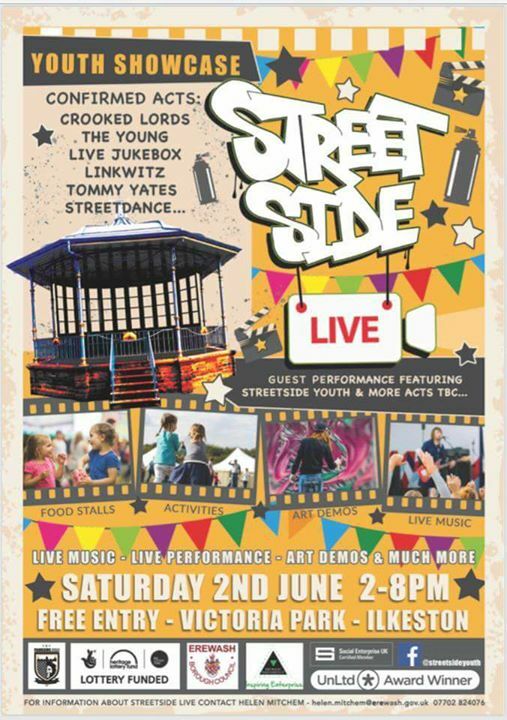 Streeetside youth event coming up. Live music, art demos, activities, food stalls – Sat. 2nd June, 2 till 8pm in Victoria Park..
Join us on the 2nd June for our Youth Showcase at Victoria Park… Activities on the day for all ages. Picnics Welcome..